The Utah Midland of Al Lindop features the dry look of the Utah high country. 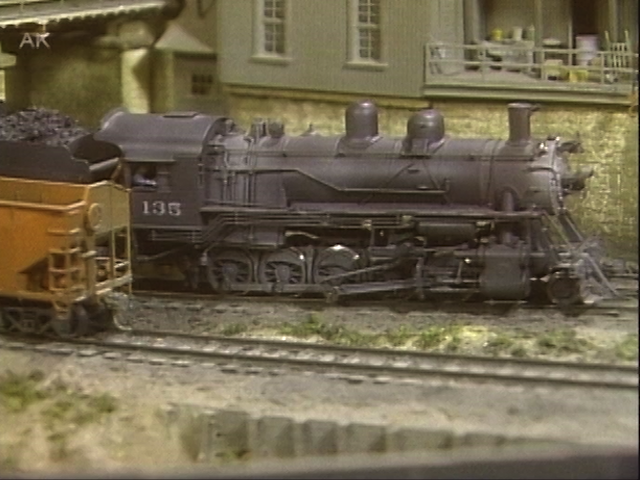 Al has beautifully modeled a 20 mile coal hauling railroad that’s based on the Utah Railway. 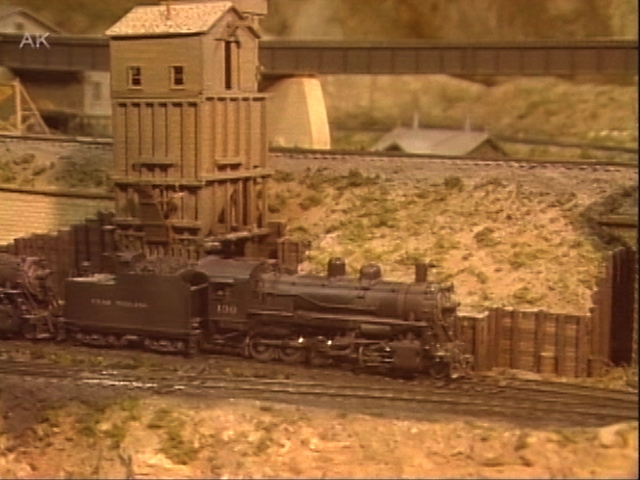 This HO layout features beautifully detailed steam engines and first generation diesels pulling long strings of hoppers through Spring Canyon and over high trestles. Al will even tell you how he weathers his extensive hopper fleet. The gorgeous canyon scenery goes from knee level to above eye level, and the scenes from onboard the train will take your breath away! 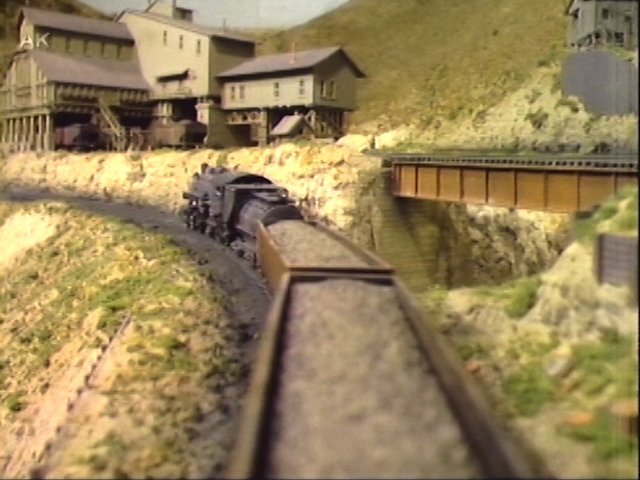 Al does not use any rock castings for his sandstone cliffs. Every rock face is carved in place, and Al will show you how he does it. 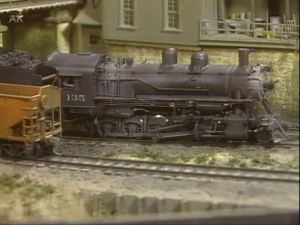 You’re sure to enjoy the special segment covering all train action on the Utah Midland from dawn to evening. 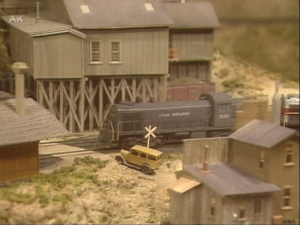 This is a truly super layout with structures built in place to fit the steep mountain terrain. 51 minutes.